On January 17, 2019, at our 123rd Annual Banquet at the New York Hilton in Midtown Manhattan, we will have the great pleasure of presenting our friend and valued Real Estate Board of New York (REBNY) Executive Committee member Daniel Tishman with the prestigious, Harry B. Helmsley Distinguished New Yorker Award. Dan’s achievements in the real estate industry are numerous. 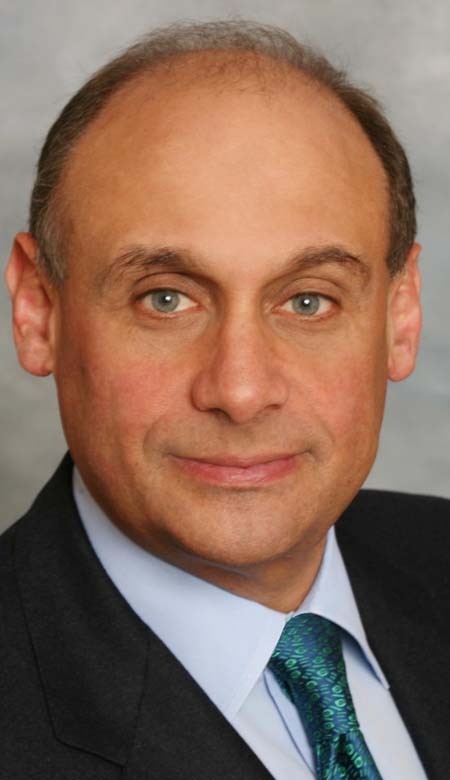 As the Principal and Vice Chairman of Tishman and a member of the board of AECOM – which merged with Tishman Construction in 2011 – he leads one of the world’s most accomplished construction firms and was responsible for building New York City landmarks such as the World Trade Center, Hudson Yards and Barclay’s Center and the World Trade Center. Dan also was a pioneer in the green building movement. Under his expertise and guidance, Tishman has continued to thrive as a developer, owner and operator. That is no small accomplishment. But Dan’s work outside of his responsibilities at Tishman speak volumes about his character and vision for New York City. He spends his spare time working to improve New York’s public health and working to ensure that New York is a green and sustainable city. He is the Chairman of the Board at Montefiore Medicine, the umbrella organization for the Montefiore Health System and Albert Einstein College of Medicine, an honor he received this spring after 15 years on that Board. Dan and his wife Sheryl founded the Sheryl and Daniel R. Tishman Cognition Neurophysiology Laboratory at Einstein and he has long been a supporter of this great cause. We at REBNY know that his expertise and guidance will positively shape the research and medical programs for years to come. He is committed to improving New York’s sustainability and environmental health, which is exemplified in his work. He spent more than a decade as the Chairman of the Board to the Natural Resources Defense Council – one of the leading environmental advocacy organizations. And under his leadership at Tishman, the company delivered the city’s first sustainable skyscraper at 4 Times Square, the city’s first commercial high-rise to earn LEED Platinum Certification at 1 Bryant Park, and the city’s first LEED-certified office tower at 7 World Trade Center. Finally, my colleagues and I here at REBNY know Dan well due to his close involvement on our Board of Governors and Executive Committee. I know I speak for all of us when I say that Dan’s vision, commitment, and dedication to serving New York City has made REBNY a stronger organization, and I am proud to call him a colleague and friend. We are fortunate to work alongside Dan Tishman, like Harry Helmsley, he cares deeply about the future of our city. New York is a better place thanks to people like Dan, and we hope you will join us in honoring his extraordinary career achievements. New to the commercial real estate industry? Join us on Monday, October 15 from 5:30 to 7:30 p.m. at The Rollins at Essex Crossing for the REBNY Access Program kickoff cocktail party, hosted by Taconic Investment Partners. This recurring program aims to provide industry newcomers invaluable access to prominent industry leaders, emerging trends, and new development projects. Familiarize yourself with REBNY membership and benefits, build a long-lasting network of industry colleagues, and become well-versed in an ever-changing market environment. 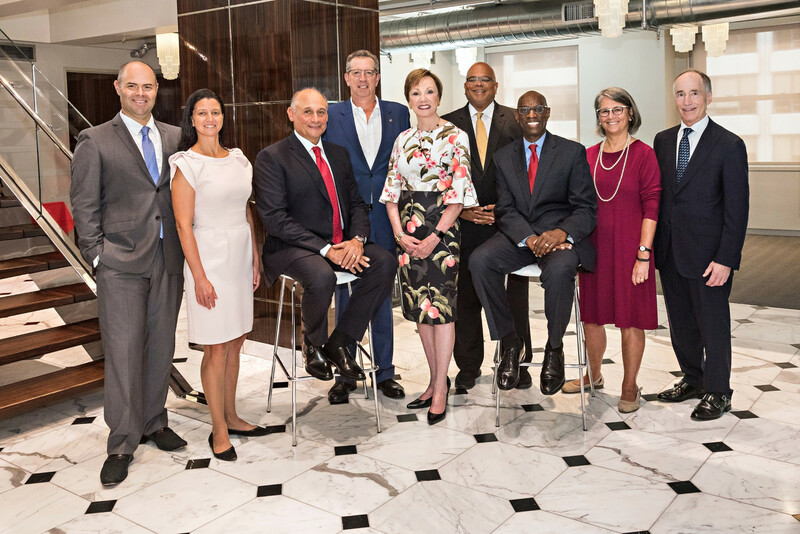 You will hear from past Commercial Brokerage Rookie Award Winners — Morris Betesh of Meridian Capital Group, Hayley Shoener of JLL, and Evan Fiddle of CBRE — as well as REBNY President John H. Banks. This meeting is FREE for all new professionals interested in learning more about REBNY and how to become more active within the commercial real estate industry. The meeting will be followed by cocktails on the terrace overlooking the Essex Crossing projects. Register now: go.rebny.com/AccessAtEssex. Are you ready for your next career move? Become a Broker by completing our 45-Hour Real Estate Broker Licensing Course this fall. Classes will be held from 9:00 a.m. to 5:30 p.m. on Thursdays from October 11 through November 15 at REBNY. Tuition is $250 for REBNY members and $350 for non-members. Visit rebny.com/Education for more information. Earn 22.5 hours of NYS real estate broker/salesperson continuing education credit and a license in Florida when you complete our 72-Hour Florida Broker Licensing Course. Classes will be held from 9:00 a.m. to 7:20 p.m. on October 19 through 21, and October 26 through 28 at REBNY. Register at rebny.com/Education. CBRE CEO Mary Ann Tighe. Mary Ann Tighe, CEO of the New York Tri-State Region at CBRE, Inc., will moderate our Fall Members’ Luncheon on Tuesday, October 23 from 11:45 a.m. to 2:00 p.m. at The Ziegfeld Ballroom. Network with commercial real estate professionals, and hear how real estate and infrastructure must work together to keep New York City on track towards a vibrant future from panelists: Marty Burger, CEO of Silverstein Properties; MaryAnne Gilmartin, Co-Founder and CEO of L&L MAG; and Scott Rechler, Chairman and CEO of RXR Realty LLC. Register now: go.rebny.com/FallMembersLuncheon. Reserve Your Spot at #RESDOY18. Our 30th Anniversary Residential Brokerage Deal of the Year Charity and Awards Gala is less than one month away. Enjoy cocktails with dinner and dancing while networking, dealmaking, and celebrating the industry’s best and brightest leaders and dealmakers at The Plaza on Tuesday, October 30 from 6:00 to 10:30 p.m. Proceeds from our “Thirty on the 30th” will benefit REBNY Residential Brokerage members who are experiencing a financial crisis or hardship through our Member in Need Fund. Buy your table/tickets and learn about available sponsorship opportunities at go.rebny.com/RESDOY18.